The Jalan Group was founded in 1984 with a vision to provide quality housing solutions to the people of Pune. From modest beginnings in the heart of the city, the Group today has a formidable portfolio of projects in and around the city. Till date, the Group has developed over 10 million sq. ft. spread out over 100 projects – individual and partnership projects combined. The Group seeks to cater to the needs of the homebuyers across the socioeconomic spectrum – from affordable housing projects to premium luxury offerings. The Group has a growing footprint in commercial development and its projects include retail spaces, IT offices and hospitality. 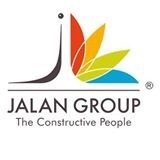 In the last 20 years, the Jalan Group has accumulated a wealth of knowledge and construction expertise. It applies its learnings to every aspect of a project to create spaces that result in customer delight. At every stage of the project, its design philosophy is to strike a perfect balance between optimal space utilization and aesthetics. Due to this innovative, solution-oriented approach the Group has earned itself the moniker of 'The Constructive People'.